Fruit cake with cresh cream, italian cheese Mascarpone, fresh raspberries. 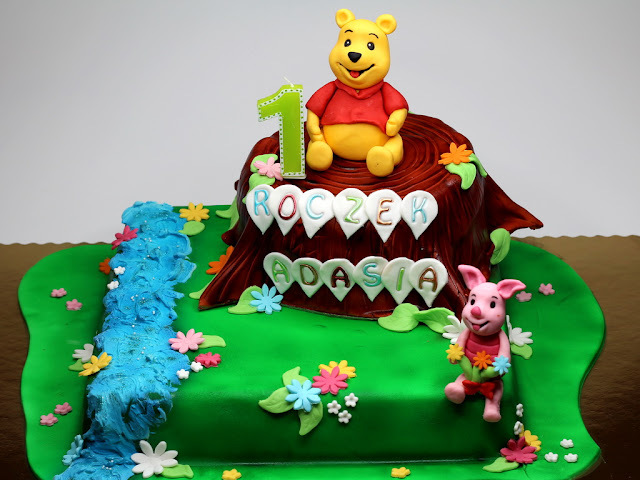 Winnie the Pooh and Piglet. Birthday cakes in London with delivery.